After three days enjoying Colombia tourism, I expected more tropical weather in Bogota but the first thing I notice on arrival is the temperature. No … it’s not blistering hot … it’s a cool 15 degrees and I need a jacket! How can this be when I’m not that far from the equator? 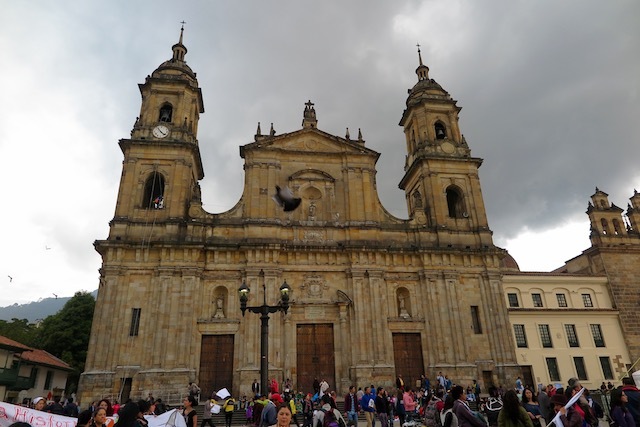 Well … Bogota sits at 2,500m above sea level at the foot of the Andes so it is cold to mild all year around. 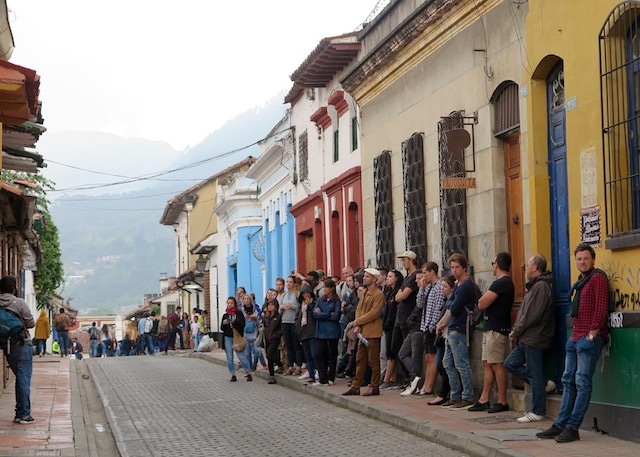 But the city itself is Colombia’s warm and beating heart, a vibrant and sprawling metropolis cradled by the tall surrounding peaks and offering heaps to do. 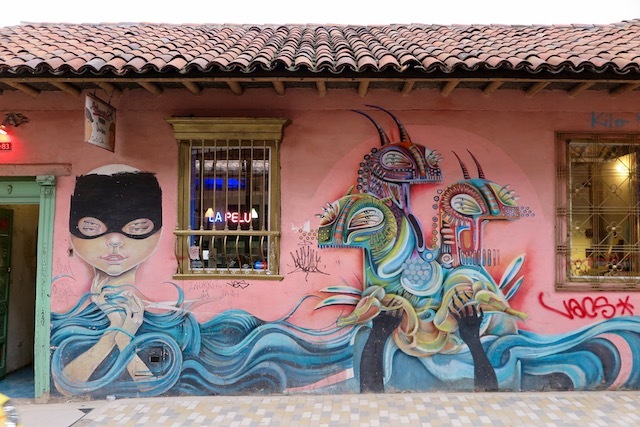 The second thing I notice about Bogota is that there is graffiti everywhere. Andy reassures me it’s street art – well tolerated although technically illegal. Strangely, they have an official “changing of the street art” every six months so it can’t be too frowned upon. Much of it is very clever work and there are even street art tours if that’s your thing. I make my third core observation … there is security everywhere. Police, army and private security guards stand on every corner. I witness one handcuff arrest and another search of a young man spread-eagled against the wall. (I couldn’t help but stare – you just don’t see this stuff in Oz). Andy advises there are about a dozen core sites around the city. The first – and most renowned – is the gold museum. 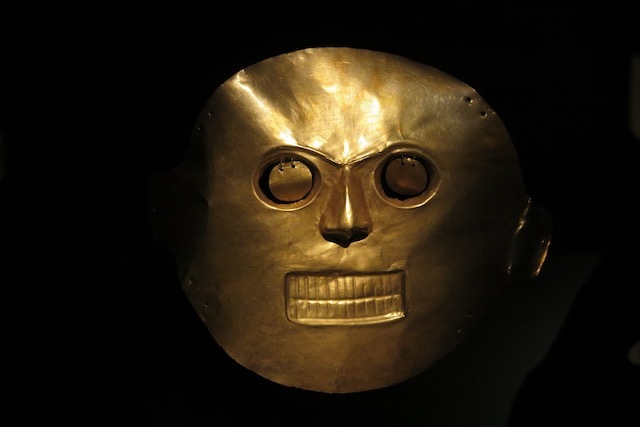 Set aside a good 45 minutes to learn how the Spanish stole gold from the indigenous people who had used it in their daily life without recognising the value to the rest of the world. Seventh Avenue is closed to cars to make a people-friendly public space. A walk down the wide, bustling avenue will take you past many shops and cafés and eventually lead to the Plaza de Bolivar, the centre of the city. 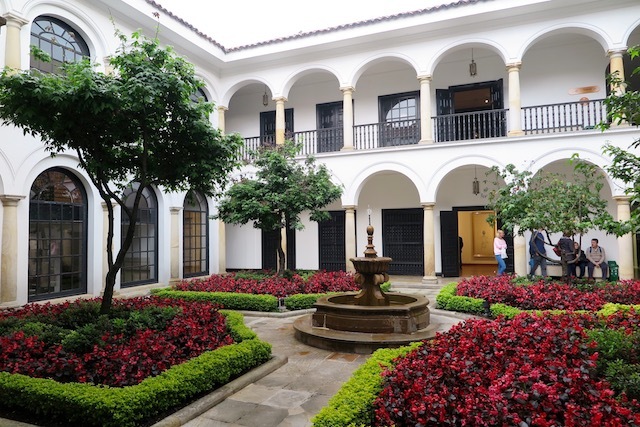 The square has all of the government buildings including the Supreme Court, the national capitol where government sits and the mayor’s offices plus the iconic Cathedral of Bogota. 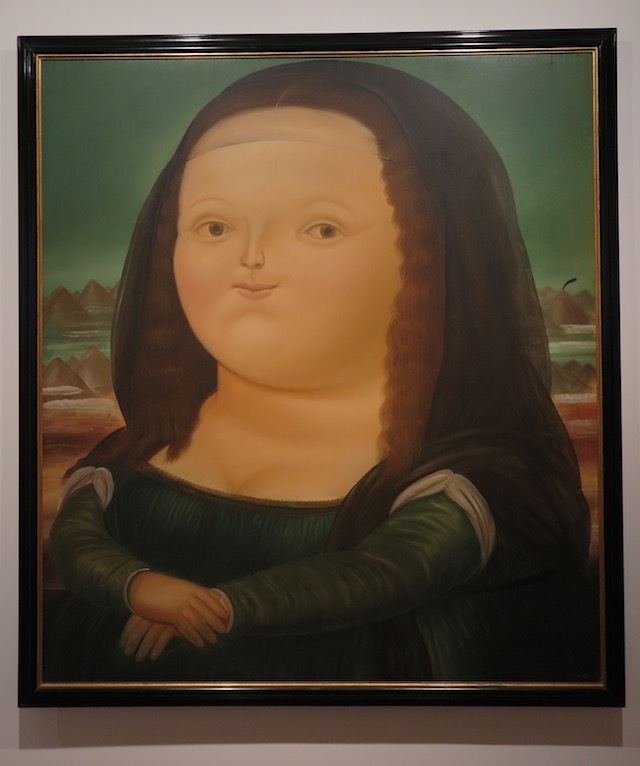 We visit the Fernando Botero museum, a local artist who paints people and other items in “large” proportions. Apparently, he never uses the word “fat” and I couldn’t stop laughing at his version of the Mona Lisa (“way funny” as teenagers would say). 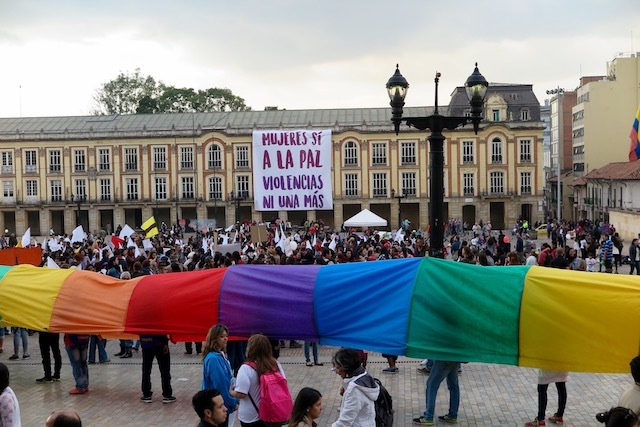 My favourite part of the city is the bohemian La Candelaria precinct, the historic cobbled old town which attracts many travelers with its tiny bars, cafés, craft shops, graffiti (whoops – street art) and young people everywhere … with that ever-present police presence. 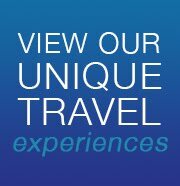 Keen to travel to South America? 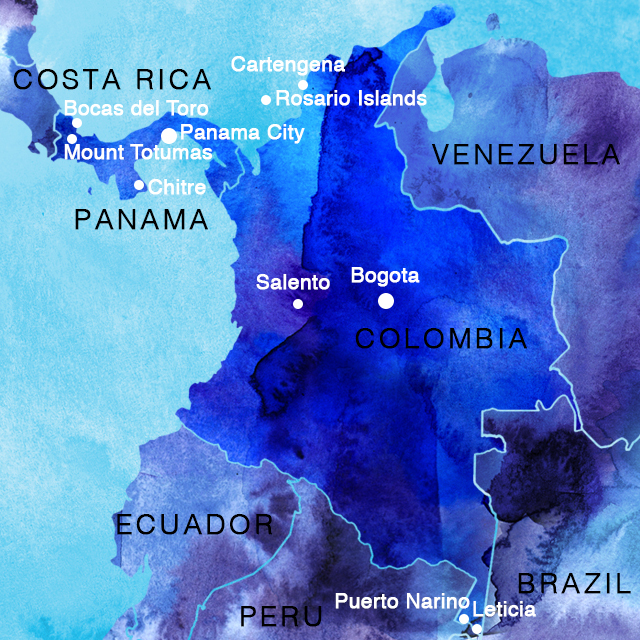 Blue Dot Travel offer small group tours of Columbia and Panama. Click here for more information.